Katalyst technology from Linn allows you to gain a deeper insight into your music. The idea of Katalyst DAC Architecture, launched by Linn in 2016, is to perform digital to analogue conversion with more precision than Linn technology has ever had before. Many Linn customers will probably think it impossible for Linn to improve their technology since Linn offers a standard of music like no other. However, Linn’s Katalyst technology offers immense excitement, controversially moving to analogue technology at a time when the world is heading digital. So, how exactly is Katalyst improving what Linn sound systems can offer? 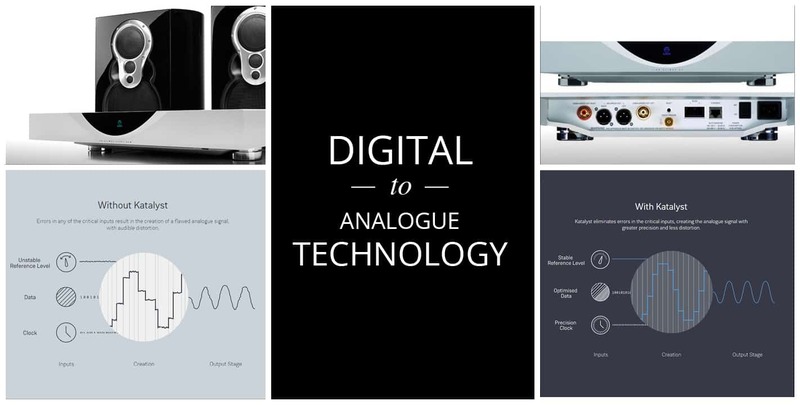 Take a look at the 5 major improvements offered by Linn’s digital to analogue technology. Katalyst now offers a stable, reference level voltage that does not vary in amplitude, for a solid and steady sound. Katalyst technology runs off independent power supplies which eliminates distortion and disturbed sound. Linn’s Katalyst technology includes Linn’s very own data optimisation stage that prepares digital signals for totally accurate transformation into analogue systems. This means that from a very early stage in the transformation process, data is extremely accurate. The master clock featured with Linn’s Katalyst technology is tuned for the most accurate timing yet. Linn’s Katalyst technology includes a new ultra-low distortion analogue output driver which allows delicate analogue signals to be transmitted out of a device. This means that the sound is far less likely to be distorted on output. The 5 major improvements to Linn’s sound technology means that the recently launched Katalyst DAC Architecture produces a much clearer sound, suffering less from distortion. The aim of the Katalyst technology is to transform digital signals into analogue signals, treating them delicately, in order to transmit the analogue sounds without interference and sound issues. For some, these distortions would have been minor from the outset, however, Linn strive for perfection in their sound systems. Without Katalyst, a sound system can produce a slightly flawed analogue system and lead to minor distortions in sound. With Katalyst, however, errors are removed from the inputs and outputs, resulting in a much more precise, less distorted sound. Katalyst DAC Architecture is now featured in the Klimax DS and Klimax DSM Linn sound systems. If you would like to upgrade to Katalyst DAC Architecture, or would simply like to find out more about our home entertainment systems, then please get in touch with Rococo Systems. Contact us online or speak to an expert directly on 020 7454 1234 or 01277 890 888.